Half the children in the Central African Republic are malnourished. They are hungry all the time. They never get enough to eat. They are becoming both physically and mentally stunted. 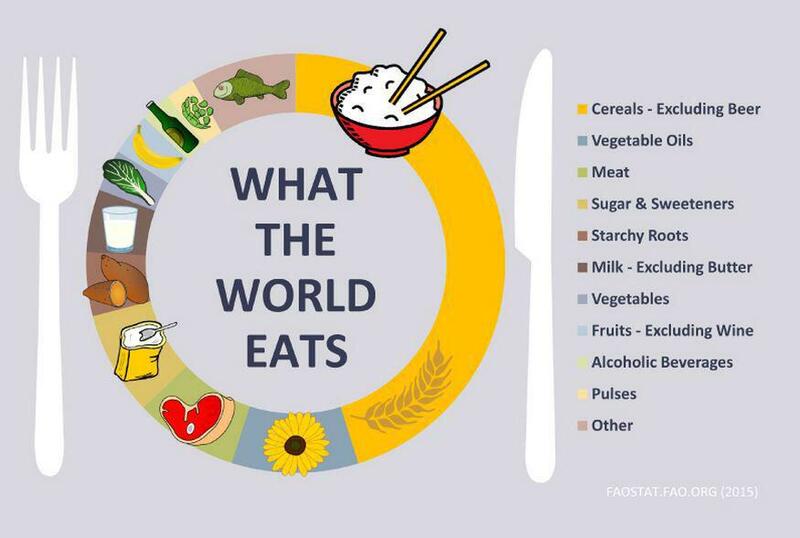 The world provides more than enough food to feed everyone on the planet. That includes the hungry children in the Central African Republic. Why then are half the children there hungry? This is simply one more example of the lack of caring among the majority of current society. We need compassion. We need action. And we need it now. We can end hunger in our lifetime. But not if we ignore places like the Central African Republic. This entry was posted in Hunger & Poverty, News & Views and tagged action, Central African Republic, children, compassion., FAO, hunger, poverty, sharing, society, WFP on February 17, 2016 by Ray Buchanan. This entry was posted in Facts & Statistics, Hunger & Poverty, News & Views and tagged developing countries, FAO, food crisis, hunger, malnutrition, MDGs, statistics, undernourishment, world on December 10, 2015 by Ray Buchanan. 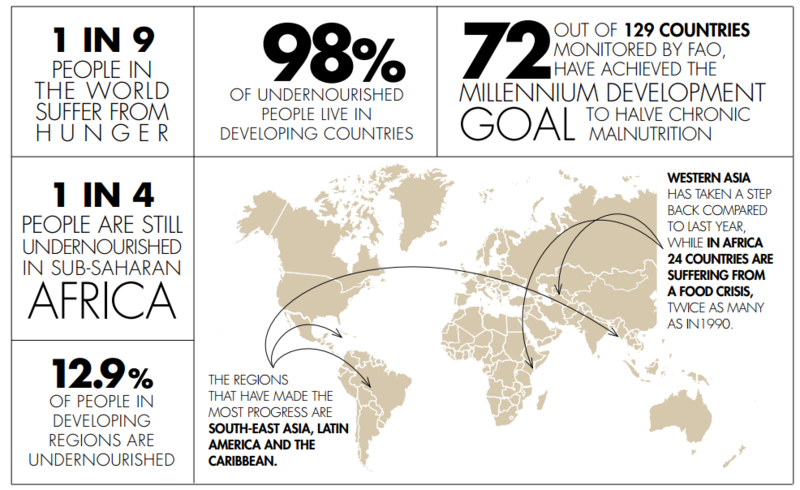 We are making progress on ending hunger in our lifetime, yet there is still much to be done. This brief report on child hunger is from the Institute for Research on Poverty at the University of Wisconsin-Madison. This entry was posted in Facts & Statistics, Hunger & Poverty, News & Views, Quotes and tagged Africa, child mortality, climate change, developing world, FAO, food, global food production, IRP, malnutrition, Millennium Development Goals, National Geographic, political instability, South Asia, UN, University of Wisconsin-Madison on September 20, 2014 by Ray Buchanan.